When Vance Gilbert returns to the Rose Garden Coffeehouse in Mansfield at 8 p.m. Saturday, March 19 (Tickets), it will be familiar turf. 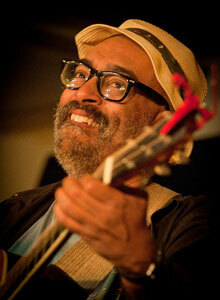 The prolific Boston-area singer-songwriter was one of the first performers to play at the venue more than 25 years ago. Since then he has gone on to record a dozen albums and performed thousands of shows all over the world. Gilbert burst onto the singer-songwriter scene in the early ’90’s when buzz started spreading in the folk clubs around Boston about an ex-multicultural arts teacher who was knocking them dead at open mics. Born and raised in the Philadelphia area, Vance started out hoping to be a jazz singer, and then discovered his affinity for the storytelling sensibilities of acoustic folk music. Once word got out about Gilbert’s stage-owning singing and playing, Shawn Colvin invited him to be special guest on her Fat City tour. Noted not only for being the ever consummate performer, Gilbert has recorded 13 albums, including 4 for Philo/Rounder Records, a duo album with friend Ellis Paul, and even a solo album of jazz standards! Along with being opener of choice for artists as varied as Aretha Franklin, Arlo Guthrie, Southside Johnny, and Anita Baker, 2006 and 2007 found Gilbert opening 140+ shows for comedian George Carlin. Most recently he’s the opener of choice for Paul Reiser and the Subdudes. His shows are intimate affairs, touching on topics that are personal and universal, on love and race. His knack for reaching out to the audience often leads to intense belly laughs, right before he wows you with a finger-picked melody, sweet with telling and touching lyrics. Gilbert’s approach stands apart in significant ways. His performances often feature extended guitar and vocal techniques, and his compositions frequently employ sophisticated melodies and harmonies that attest to his jazz roots. The song content often defies the folk genre as well: several of Gilbert’s songs deal with racial issues and his live show banter often touches light-heartedly on his being a black man in a field of music dominated by both white performers and audiences. 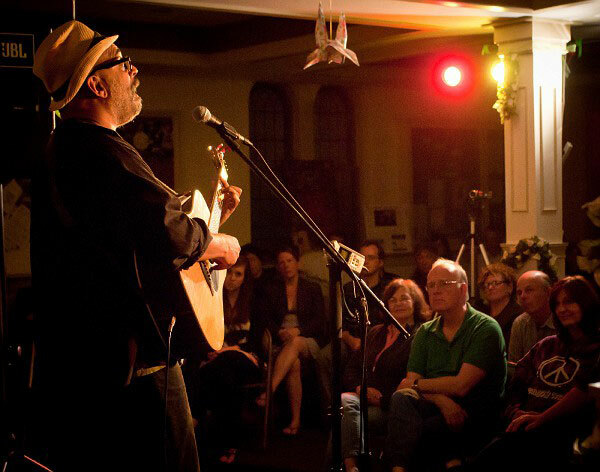 Considered by many to be an integral part of the national folk scene, Gilbert’s approach to the acoustic singer songwriter idiom is significant. Gilbert’s compositions, while frequently employing sophisticated melodies and harmonies that attest to his jazz roots, remain sublime attestations to the storyteller’s craft. He even has a tune on a Grammy Nominated children’s album.